The Bedrock Ideas Component In Several Communities. With new release, it is possible to implement the Bedrock Ideas Component in several communities. In addition, you can set up different categories for each community. It is easy to do with some additional settings. NOTE. 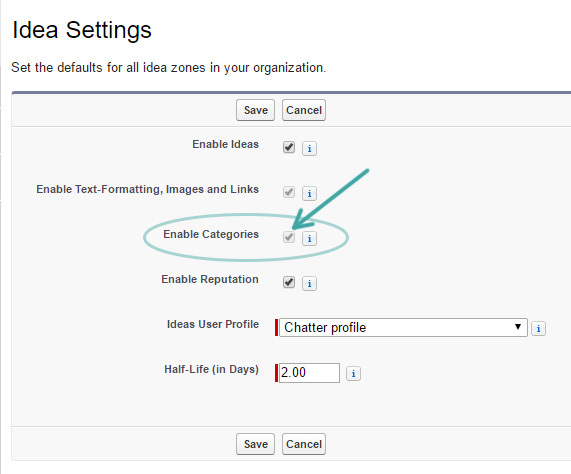 Make sure you checked “Enable Categories” checkbox in Ideas Settings. Each community has to have its own Ideas Zone. Setup – Customize – Ideas – Ideas Zones – New. 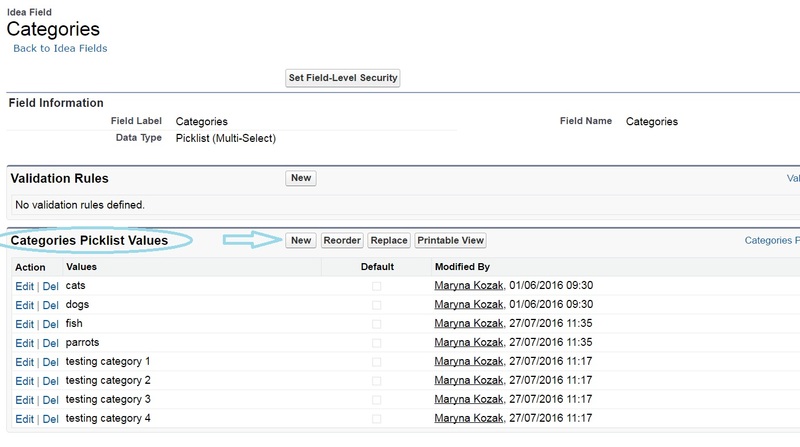 From Setup area, go to Customize – Ideas – Fields. Click “Categories” field label and add Categories Picklist Values. This is necessary, if you want to display those categories within your internal organization. Then, go to Setup – Develop – Custom settings. Click “Manage” against LghtIdeas Categories and duplicate the categories from the previous step. 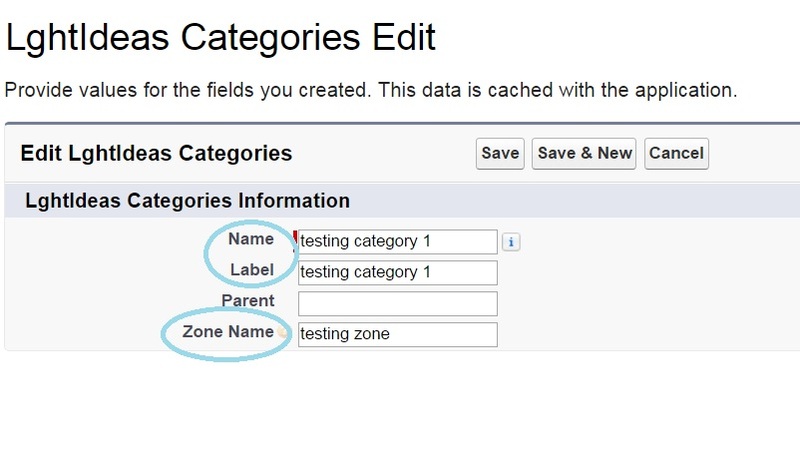 Add values for Name, Label, and Zone Name fields, click Save. Go to the Community Builder. 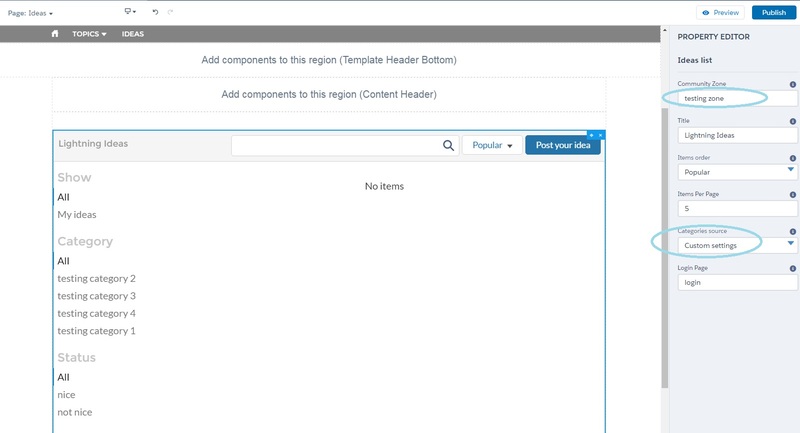 Drag and drop the Ideas component to the page. In the Property Editor type in Community Zone name for this community, choose “Custom Settings” from Categories Source drop-down list. Click “Publish” to save changes. Now you have the Ideas component in both communities and a set of categories for each community.